Photo shows the exterior of the Bohol-Panglao International Airport, the country's first 'eco-airport' which was inaugurated on November 27, 2018. President Rodrigo Roa Duterte led the inauguration of the airport which is expected to accommodate around 2-million passengers annually. After 15 years in the drawing board and thrice re-scheduled launch dates this year, the country’s first eco-airport, the P11-billion Bohol Panglao International Airport (also known as New Bohol International Airport) was opened by President Rodrigo Duterte November 27, 2018. The new airport replaced Tagbilaran Airport as gateway to Bohol. The Civil Aviation Authority of the Philippines directed all airlines, including Philippine Airlines (PAL), to transfer their operations to Panglao Airport on Nov. 28, a day after the eco-friendly airport opened. The Bohol Panglao International Airport is designed to accommodate two million passengers, more than double the capacity of the Tagbilaran airport. Dubbed the “Green Gateway to the World,” the Panglao airport will be the country’s first eco-airport, which held to the highest standards of green and sustainable structure. 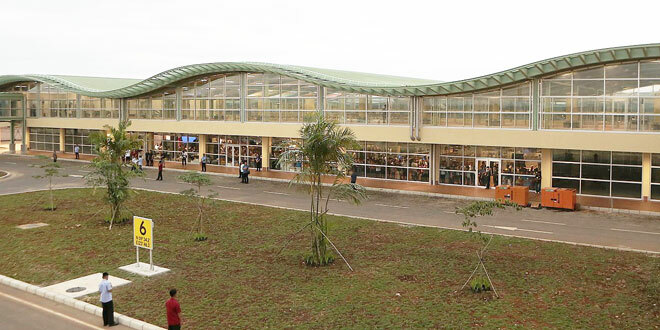 The passenger terminal building (PTB) has an area of 13,884 sqm. and equipped with 3 boarding bridges and a baggage handling system. The DOTr earlier granted “Original Proponent Status” to Aboitiz Infra Capital, Inc., the infrastructure business unit of the Aboitiz Group for the operations and maintenance, future development and expansion of the airport.